For example, the PAWS online fundraising campaign was posted by a woman who wanted to raise money for a half marathon that she is running to support a no-kill animal shelter in the Chicago area. By using the resources that DonationTo provided her, she was able to pass her goal of raising $1,000 a week early. 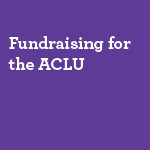 Get your marathon fundraising campaign started on the right foot. 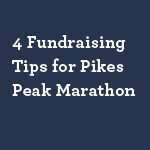 4 Fundraising Tips for Pikes Peak Marathon from the DonationTo team. 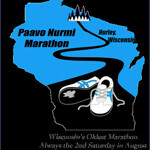 4 Fundraising Tips for Paavo Nurmi Marathon. These simple fundraising tips will get your crowdfunding started on the right foot! 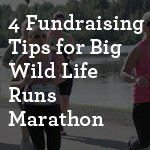 Let everyone know that the Big Wild Life Runs Marathon takes place in Anchorage, Alaska. If you happen to be running the race here are 4 fundraising tips to get your crowdfunding off to a great start! The Green River Chamber of Commerce Run with the Horses Marathon is located at Expedition Island in Green River, Wyoming. If you are running the race for a cause here are 4 tips to help your fundraising efforts! 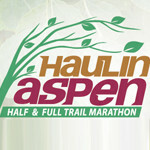 4 Fundraising Tips for Haulin' Aspen Trail Marathon. Don't miss these great marathon fundraising tips! 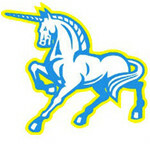 The runBUCKS.com Chasing the Unicorn race will be held at the Washington Crossing Historic Park in Washington Crossing, Pennsylvania. If you are running this race take a read at our 4 fundraising tips to get you started! 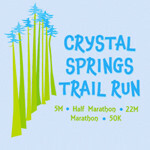 4 Fundraising Tips for Crystal Springs Fall Trail Run. Don't miss these great marathon fundraising tips! 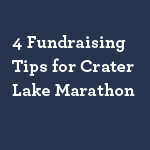 4 Fundraising Tips for Crater Lake Marathon. These 4 simple fundraising tips will make sure your fundraising efforts start off on the right foot. 4 Fundraising Tips for Self-Transcendence Marathon. Make sure to checkout the great fundraising tips to get you started on the right foot!